As long as you have a healthy amount of lime juice and a beer, there is not a wrong way to make a michelada. We tried our fair share in around Mexico, and almost each one was different from the last, varying in spices, garnishes, and type of beer. This is a very good version that James developed at home using nice dried Mexican chili peppers. 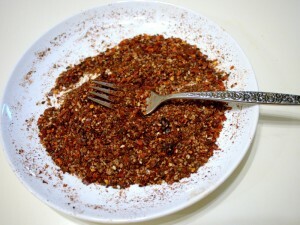 To make the rim spice, remove the tops of the dried peppers and shake the seeds loose. Toast the chilies in a dry skillet over medium heat until fragrant, about two minutes. Process the peppers in a food processor until finely ground. Add salt and sesames seeds. This makes enough spice for a number of micheladas. Pour the rim spice in a saucer or small plate. Run a slice of lime around the rim of a pint glass and rub the moistened rim in the spices like you would with a margarita glass. Add the remaining lime juice to the rimmed pint glass. 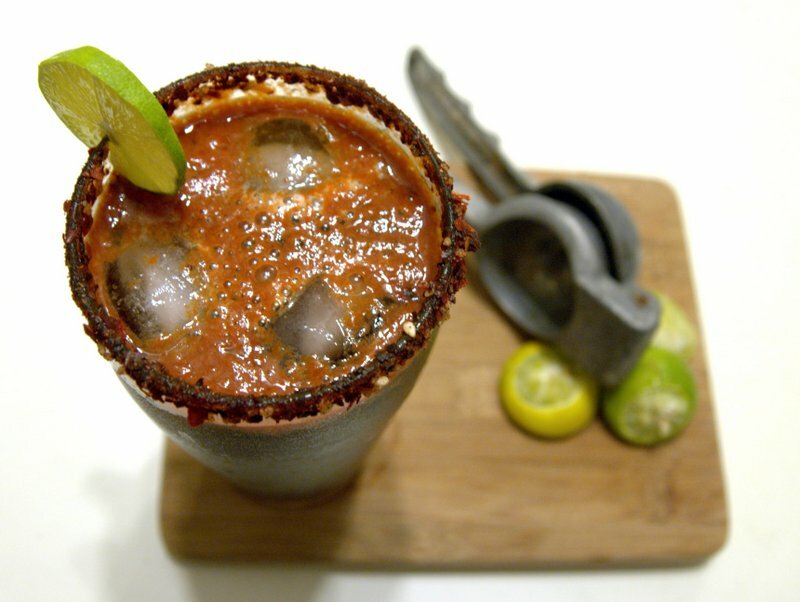 Mix in the hot sauce, a splash of tomato juice (if using), and add a few ice cubes. Top the glass with your cold beer and enjoy! Store the remaining rim spice in an airtight container in a cool, dry place.